Please come on out for your second to last chance to visit the working studio! Behind the scenes chance to talk with the artist, see the artistic process, and perhaps get your hands on some exclusive art goodies. Visit Casket Arts Studio 317 any time 5-9p to see your favorite Robot artwork and hang out with zee arteest. Open Studio! Free, open to the public, all are welcome. You're invited to explore the artwork of the historic Casket Arts Building. Open Studio on January 4th! Visit zee arteest and see the newest artworks. 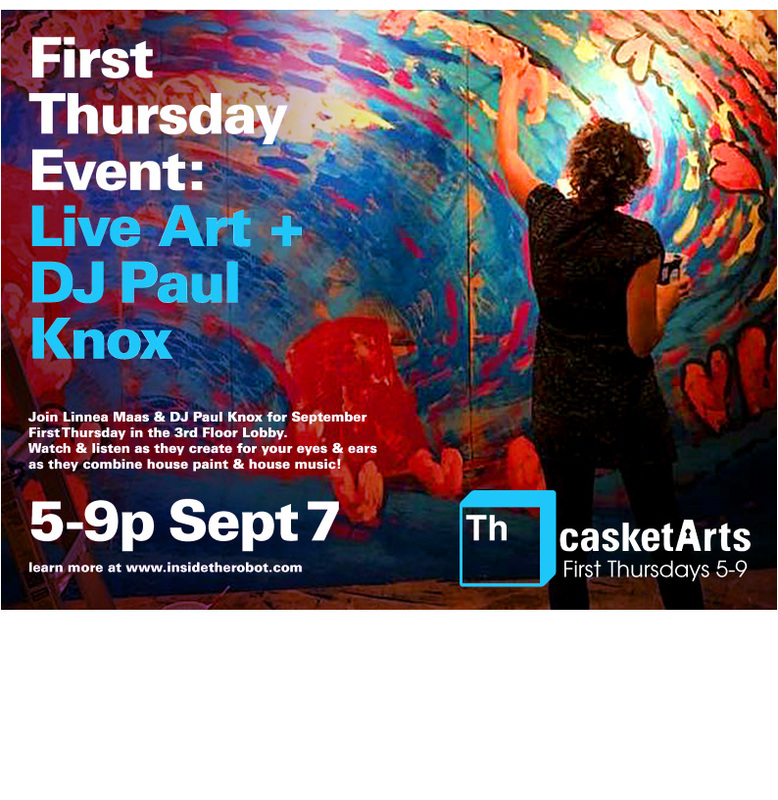 This month's First Thursday will be a special preview for the weekend-long Open Casket event. Get into the spirit early and snag your favorite artworks before the crowds! Open Studio in Casket Arts #317. 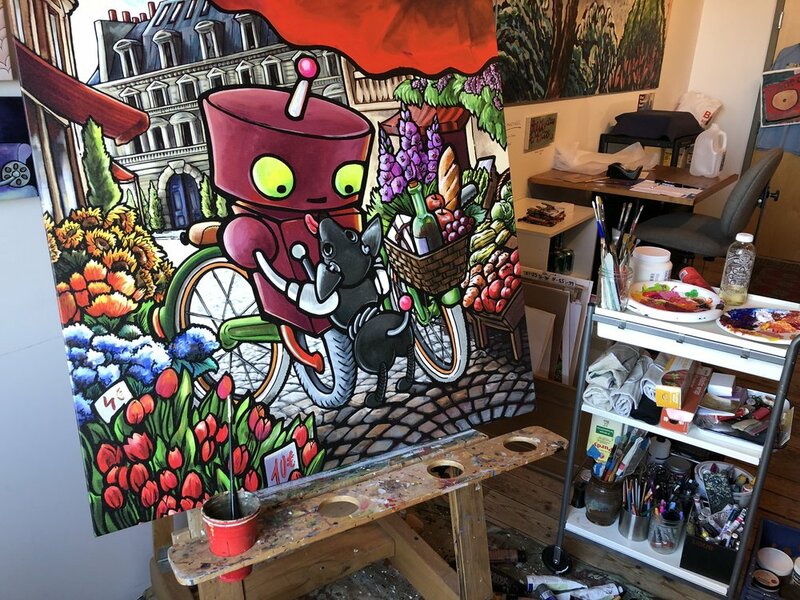 Join Inside The Robot for new artwork on the walls! This month at Casket Arts, there's so much brand new work on the walls! Invite your whole crew to come with you and take a creative, self guided tour to get the inside look at Northeast Minneapolis's working art studios. Treat yourself to a conversation with zee arteest as you see the latest creations from Linnea at Inside The Robot - plus, deep beats provided by resident DJ Paul Knox. One night only, for members only: get 25% off all in stock fine art prints when you make a purchase in person during open studio hours. Mention this email for your discount, and a bonus gift too! Free - All Are Welcome - Stop By and Say Hi! Share & Invite on Facebooks!